This is my favourite time of year. The air is crisp and cool, the leaves crunch under your feet, the smell of wood fires is more and more prevalent. Of course, I wish you all a Happy Halloween! 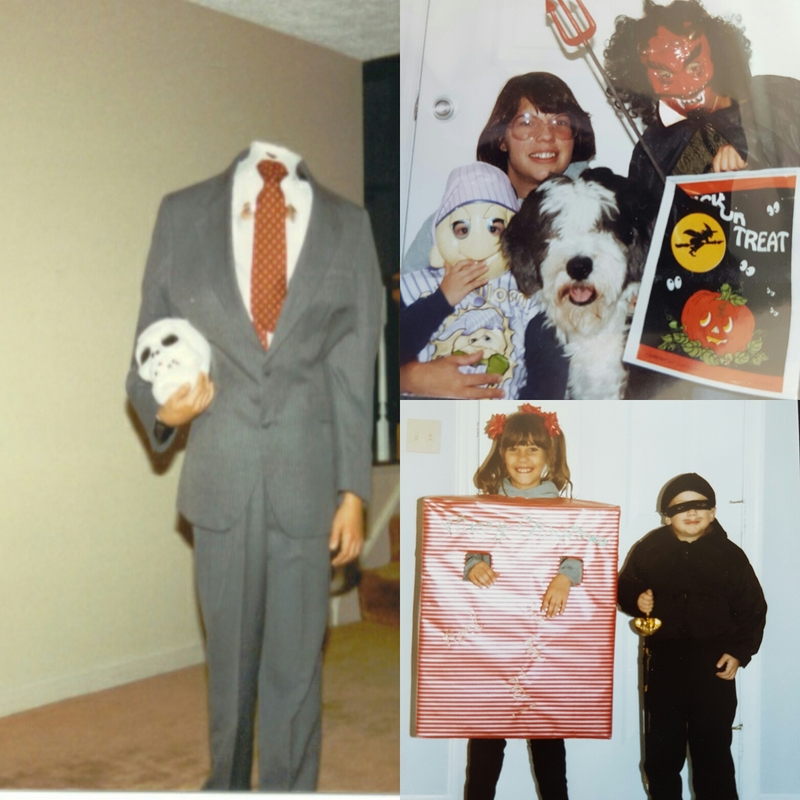 Halloween was the best when I was growing up. Candy aside, the idea of being someone else for a day was such fun. My first year I was a glow worm. Every year after that I was either the Dread Pirate Roberts or Zorro. Didn’t matter to me, I got a new sword each October. When I was 12 I changed gears and went with the Headless Businessman. My mum’s pièce de résistance. When I was 14 and hung up my costumes, I took over the decorating and candy disbursement. I loved the creativity of some kids and their parents, and I’d cringe at others. Once I was in my late 20s the real fun began. 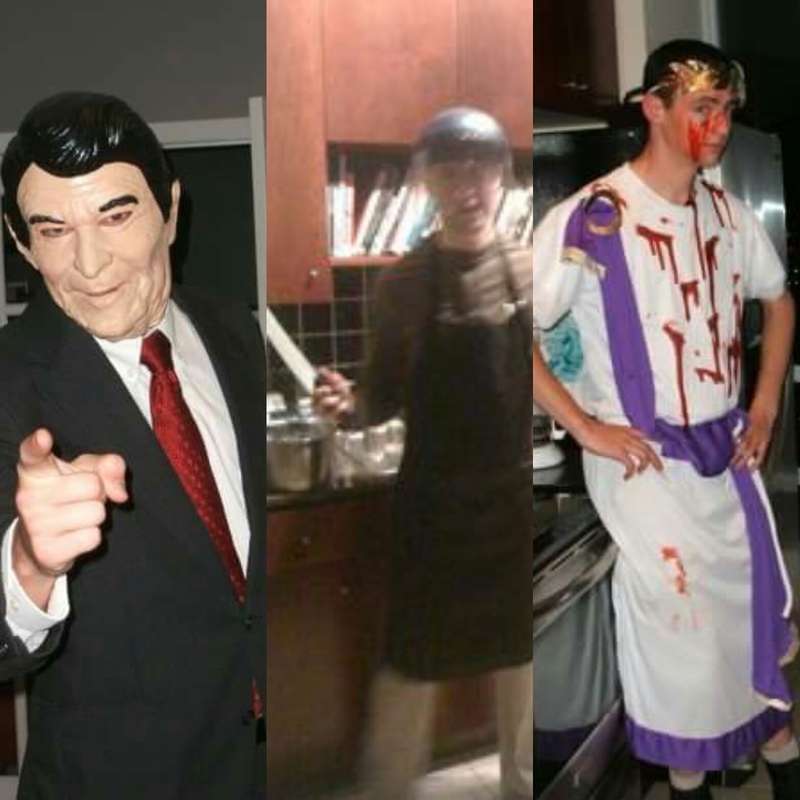 I was a Bloody Caesar, Dexter Morgan, Ronald Reagan, Dr. Algernop Krieger, and The Doctor (11th). I enjoyed putting the costumes together almost as much as wearing them. Finding just the right piece, figuring out better ways to showcase a character. The line between Halloween and cosplay blurred a bit, and I really got to get creative with my fandoms. Adults get to enjoy a happy halloween as well! This year I’ve gone cultural. Some may say it’s not a big change from my every day life, but I still think it’s apropos. I”l not spoil it, you will have to check back on the 31st. I look back at the fond memories I have and hope the Wee Baby T can enjoy this holiday just as much as I do. What is your favourite costume? Let me know in the comments!